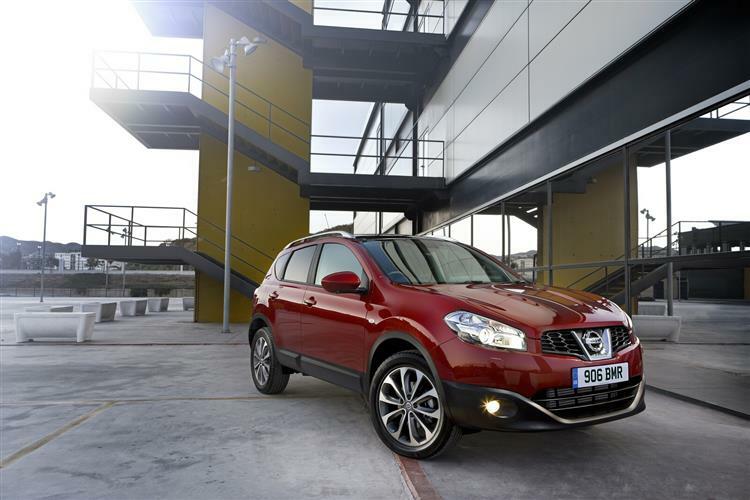 Even Nissan was surprised by the success of its Qashqai crossover vehicle. Fully half a million cars found homes between 2007 and the end of 2009, with every last one of them rolling out of Nissan's Sunderland plant. Quite why the Qashqai hit such a nerve with the British public is something rival car manufacturers have studied at length in a bid to replicate. Many have tried, and that includes many with even bigger budgets than Nissan, but none has succeeded. 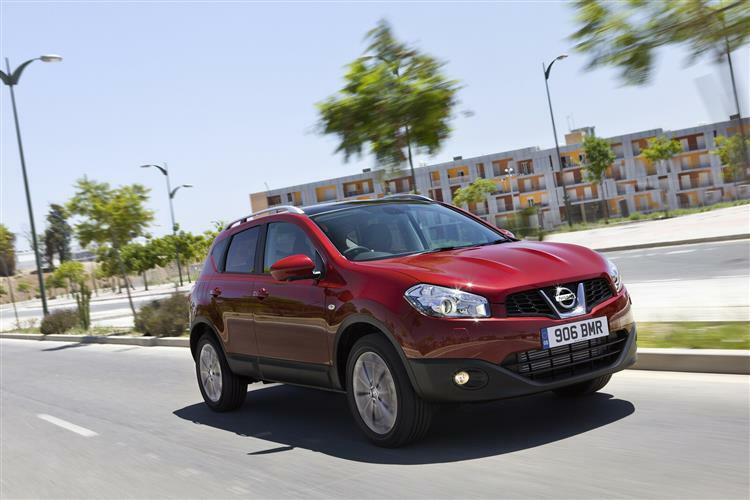 Since its launch, the Qashqai has been gradually and continually improved, and the models we look at here are those sold immediately after the range's facelift in 2010. Picking up a decent used example is easy. Getting the right car at the right price may well be a little less straightforward. The crossover genre didn't exist when Nissan launched the Qashqai in 2007. Nissan was in a period of transition, switching from a conventional range of saloons and hatchbacks to one that underscored its expertise in building 4x4s, sports cars and niche city vehicles. 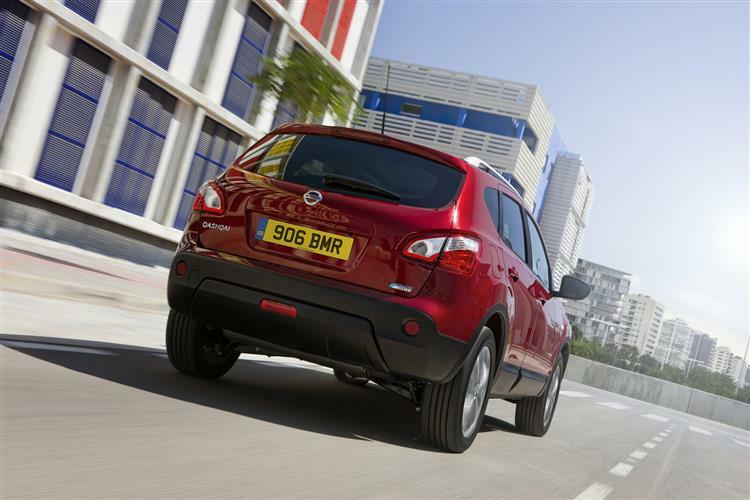 The Qashqai was just another vehicle to add to its 4x4 portfolio, looking to offer a car for every conceivable taste. In fact most of the Qashqai models sold weren't all-wheel drive at all, a trick that wasn't particularly novel either. Where the stars did align was in offering a smartly styled car at a very keen price which offered the styling cues of a 4x4 with the driving characteristics of a hatchback and admirably low running costs. If ever there was a case of right place, right time, the Qashqai epitomises it. Sales showed very little sign of tailing off as the car entered its fourth year on sale, yet Nissan realised that it needed to freshen the proposition before buyers got bored. To that end it introduced a raft of styling updates, dynamics changes, interior quality improvements and enhanced the vehicle's efficiency. Here we take a look at these facelifted models through to model year 2011. 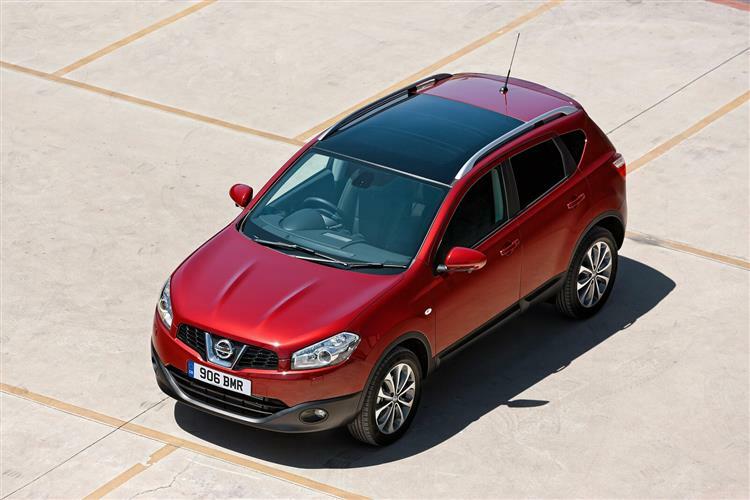 Any small all-wheel drive vehicle is going to occasionally find itself being asked to do the off-road thing and although the Qashqai does have a modicum of ability, it's no dedicated mud-plugger, so check the vehicle carefully for signs of damage to its front spoiler, exhaust and suspension. 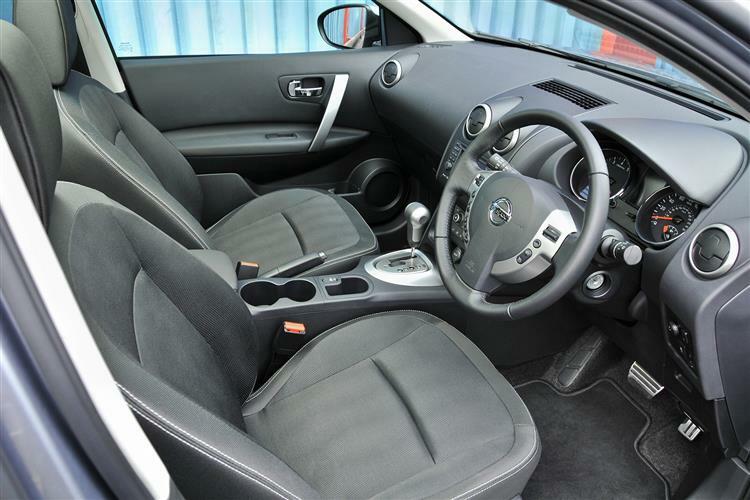 The interior of the Qashqai is tough enough, although the rear extremities can be difficult to keep tabs on and can incur parking scrapes. All the engines are tried and tested units with the diesels being particularly robust. (approx values for a 2010 Qashqai Visia 1.6) A clutch assembly will be around £205 and front brake pads are around £45; its around £40 for the rear set. An alternator should be close to £260 and a radiator around £190. 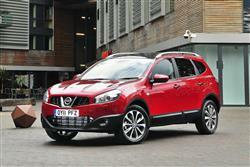 There's a wide choice of engines available to Qashqai customers with two diesels and two petrol powerplants to consider. Things start off with an uprated 1.6-litre 117bhp petrol unit and move up through a beefier 110bhp 1.5dCi diesel and 140bhp 2.0-litre petrol units before topping-out with the 150bhp 2.0-litre dCi diesel. Nissan hasn't skimped when it comes to transmission choices either, the Qashqai being supplied with five and six-speed manual boxes, a six-speed auto option and even an advanced Constantly Variable Transmission (CVT). The Qashqai drives in an assured manner on the road and feels more like a conventional family hatchback than a 4x4 with its supple suspension and absence of body roll. The latest cars have revised suspension settings to improve things further in this area and refinement that's boosted by multi-layer insulation in the front bulkhead and a special soundproof windscreen. The ALL-MODE 4x4 system is available on the 2.0-litre vehicles, with the others sending drive to the front wheels only. This is an electronic system which automatically engages four-wheel drive the moment a loss of traction is detected. It offers more safety and security in extreme weather on-road. Nissan makes no bones of the fact that the Qashqai is anything but an off-roader, citing its lack of ground clearance. What precludes it from tackling rutted tracks makes it a better car on the blacktop, the hunkered down centre of gravity giving the Nissan its nimble feel. There are all kinds of examples one could pluck from the ether of manifestly brilliant products that never achieved popularity. Start looking at products which did sell in huge numbers and it can be a little depressing, such is the quirky nature of meritocracy. The Nissan Qashqai, however, rewards your faith in the British car buyer's ability to recognise a good thing. This facelifted car didn't change the rules dramatically, merely tightening up what was already a very strong offering. Used examples are both plentiful and affordable, especially if you're willing to look beyond the most obvious engine and trim combinations. 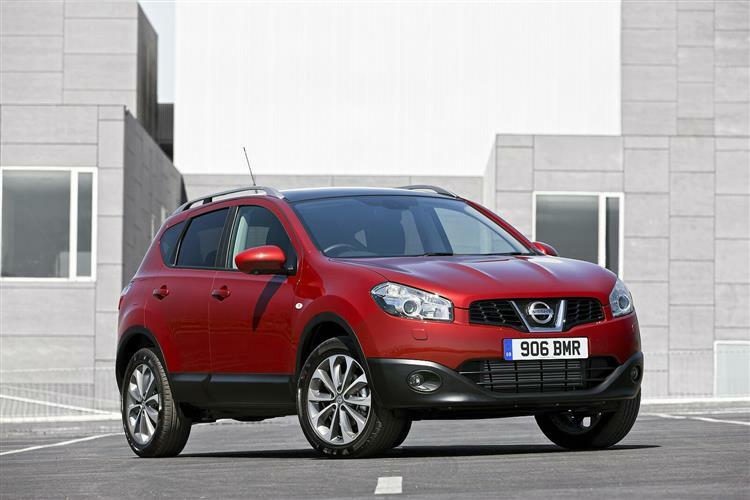 Well built and reliable, it's hard to go too far wrong when shopping for a used Qashqai.